Dive into OCEANS from Disneynature, the studio that brought you EARTH, for a spectacular story about remarkable creatures under the sea. Stunning images await as you journey into the depths of a wonderland filled with mystery, beauty and power. It's an unprecedented look at the lives of these illusive deep water creatures through their own eyes. Incredible state-of-the-art underwater filmmaking wi… ll take your breath away as you migrate with whales, swim alongside a great white shark and race with dolphins at play. 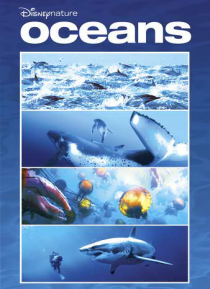 Filled with adventure, comedy and drama, OCEANS is a fascinating and thought-provoking experience you'll never forget.